Metre or meter is the measurement of a musical line into measures of stressed and unstressed “beats”, indicated in Western music notation by a symbol called a time signature. 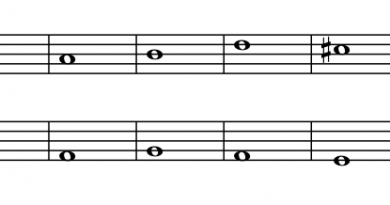 Properly, “meter” describes the whole concept of measuring rhythmic units, but it can also be used as a specific descriptor for a measurement of an individual piece as represented by the time signature—for example, “This piece is in 4/4 meter” is equivalent to “This piece is in 4/4 time” or “This piece has a 4/4 time signature”. Meter is an entrainment, a representation of changing aspects of music as patterns of temporal invariance, allowing listeners to synchronize their perception, cognition, and behavior with musical rhythms. Rhythm is distinguished from meter in that rhythms are patterns of duration while meter involves our initial perception as well as subsequent anticipation of a series of beats that we abstract from the rhythm surface of the music as it unfolds in time. If each beat in a measure is divided into two parts, it is simple meter, and if divided into three it is compound. If each measure is divided into two beats, it is duple meter, and if three it is triple. Some people also label quadruple, while some consider it as two duples. The latter is more consistent with the above labelling system, as any other division above triple, such as quintuple, is considered as duple+triple (12123) or triple+duple (12312), depending on the accents in the musical example. However, in some music a quintuple may be treated and perceived as one unit of five, especially at faster tempos. The meter of a piece of music is the arrangement of its rhythms in a repetitive pattern of strong and weak beats. This does not necessarily mean that the rhythms themselves are repetitive, but they do strongly suggest a repeated pattern of pulses. It is on these pulses, the beat of the music, that you tap your foot, clap you hands, take a dance step, etc. Some music does not have a meter. Much ancient music, such as Gregorian chants, some new music, such as some experimental twentieth-century art music, and some Non-Western music, such as some native American flute music, does not have a strong, repetitive pattern of beats. Some musics, such as traditional Western African drumming, tend to have very complex meters. Conducting also depends on the meter of the piece; conductors use different conducting patterns for the different meters. These patterns emphasize the differences between the stronger and weaker beats and also help the performers keep track of where they are in the music. The conducting patterns depend only on the pattern of strong and weak beats. In other words, they only depend on “how many beats there are in a measure”, not “what type of note gets a beat”. So even though the time signature is often called the “meter” of a piece, one can talk about meter without worrying about the time signature or even being able to read music. Meters can be classified by counting the number of beats from one strong beat to the next. For example, if the meter of the music feels like “strong-weak-strong-weak”, it is in duple meter. “strong-weak-weak-strong-weak-weak” is triple meter, and “strong-weak-weak-weak” is quadruple. (Most people don’t bother classifying the more unusual meters, such as those with five beats in a measure ). Meters can also be classified as either simple or compound. In a simple meter, each beat is basically divided into halves. In compound meters, each beat is divided into thirds. A borrowed division occurs whenever the basic meter of a piece is interrupted by some beats that sound like they come from a different meter. One of the most common examples of this is the use of triplets to add some compound meter to a piece that is mostly in a simple meter. Once a metric hierarchy has been established, we, as listeners, will maintain that organization as long as minimal evidence is present. Duple time is far more common than triple. 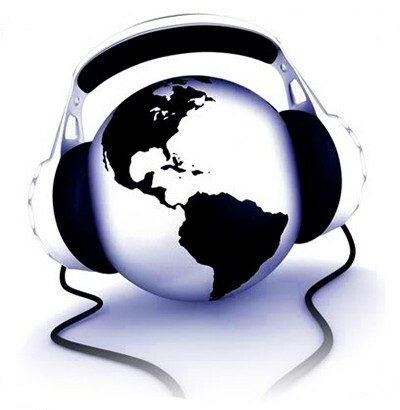 Most popular music is in 4/4 time, though often may be in 2/2 or cut time such as in bossa nova. Doo-wop and some other rock styles are frequently in 12/8, or may be interpreted as 4/4 with heavy swing. Similarly, most classical music before the 20th century tended to stick to relatively straightforward meters such as 4/4, 3/4 and 6/8, though variations on these such as 3/2 and 6/4 are also found. By the 20th century, composers were using less regular meters, such as 5/4 and 7/8. 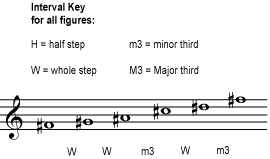 Also in the 20th century, it became relatively more common to switch meter frequently—the end of Igor Stravinsky’s The Rite of Spring is a particularly extreme example—and the use of asymmetrical rhythms where each beat is a different length became more common: such metres include already discussed quintuple rhythms as well as more complex constructs along the lines of 2+5+3/4 time, where each bar has a 2-beat unit, a 5-beat unit, and a 3-beat unit, with a stress at the beginning of each unit; similar meters are used in various folk musics. Other music has no metre at all (free time) (such as drone-based music as exemplified by La Monte Young), features rhythms so complex that any meter is obscured (such as in serialism), or is based on additive rhythms (such as some music by Philip Glass). Meter is often combined with a rhythmic pattern to produce a particular style. This is true of dance music, such as the waltz or tango, which have particular patterns of emphasizing beats which are instantly recognizable. This is often done to make the music coincide with slow or fast steps in the dance, and can be thought of as the musical equivalent of prosody. Sometimes, a particular musician or composition becomes identified with a particular metric pattern; such is the case with the so-called Bo Diddley beat. Polymetre is the use of two metric frameworks simultaneously, or in regular alternation. Examples include Béla Bartók’s “Second String Quartet”. Leonard Bernstein’s “America” (from West Side Story) employs alternating measures of 6/8 (compound duple) and 3/4 (simple triple). This gives a strong sense of two, followed by three, stresses (indicated in bold type): // I-like-to be-in-A // ME RI CA//. The math metal band Meshuggah uses complex polymetres even more extensively; typically the songs are constructed in 4/4, with guitar riffing and bass drum patterns in unusual meters such as 11/8 and 23/16. Usually the riffs are forced to resolve after 4 or 8 measures resulting in a shorter ‘fitpiece’ which has a different meter from the rest of the section. Issues involving meter in song reflect a combination of musical meter and poetic meter, especially when the song is in a standard verse form. Traditional and popular songs fall heavily within a limited range of meters, leading to a fair amount of interchangeability. For example, early hymnals commonly did not include musical notation, but simply texts. 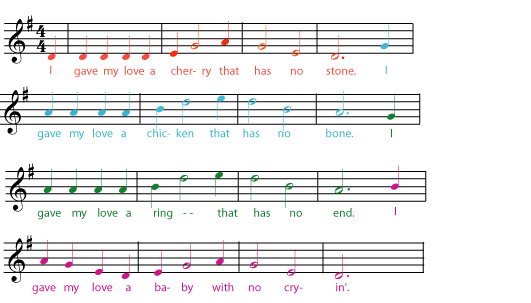 The text could be sung to any tune known by the singers that had a matching meter, and the tune chosen for a particular text might vary from one occasion to another. One case that illustrates the potential use of this principle across musical genres is The Blind Boys of Alabama’s rendition of the hymn Amazing Grace, which is sung to the musical setting made famous by The Animals in their version of the folk song The House of the Rising Sun.